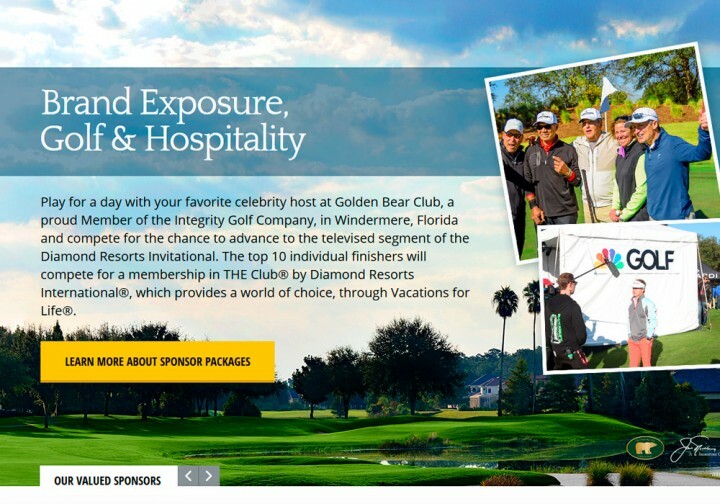 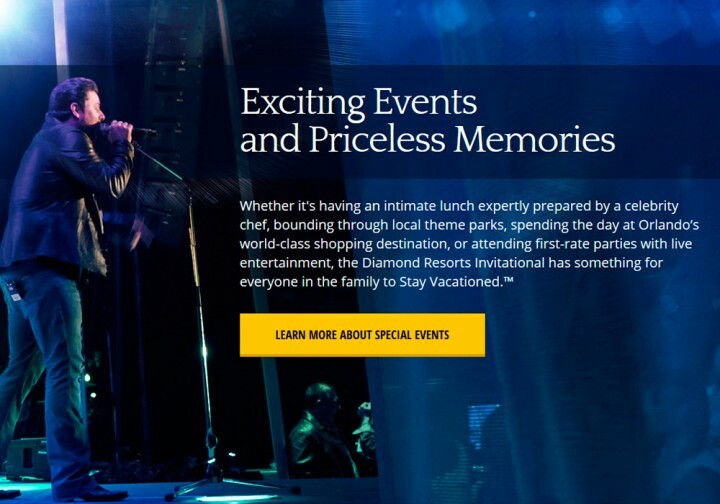 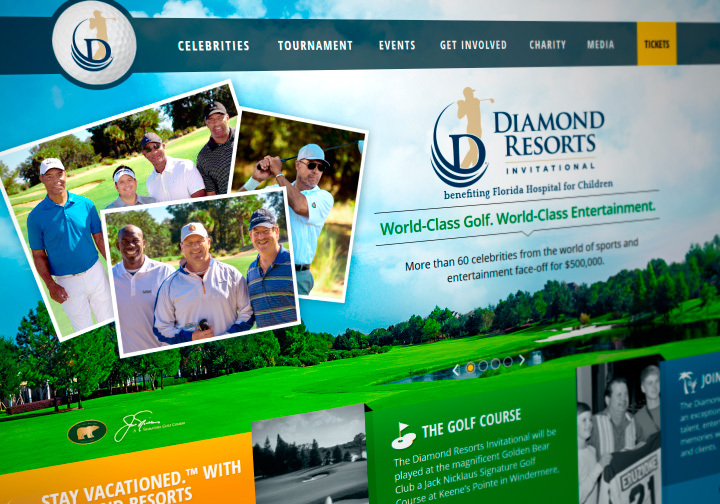 Diamond Resorts Invitational Celebrity Golf Tournament - Wood Street, Inc. 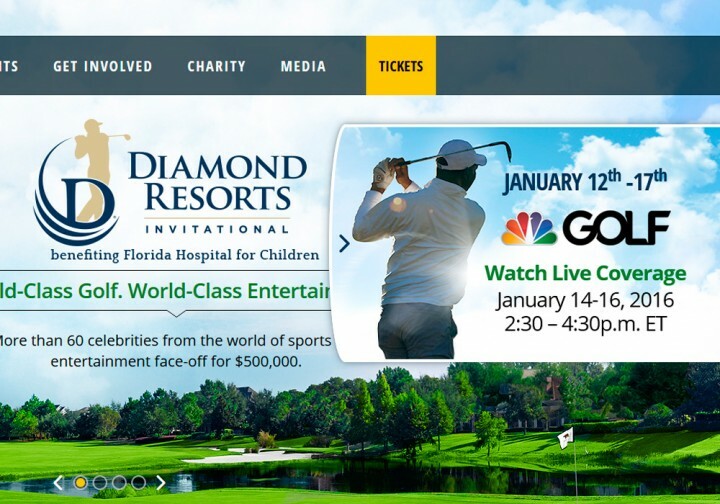 The Diamond Resorts Invitational benefiting Florida Hospital for Children is a weeklong, world-class event featuring an 84-person field in a 54-hole celebrity tournament covered live on Golf Channel, as well as headline concerts, entertainment, excursions and memorable vacation experiences for the whole family. 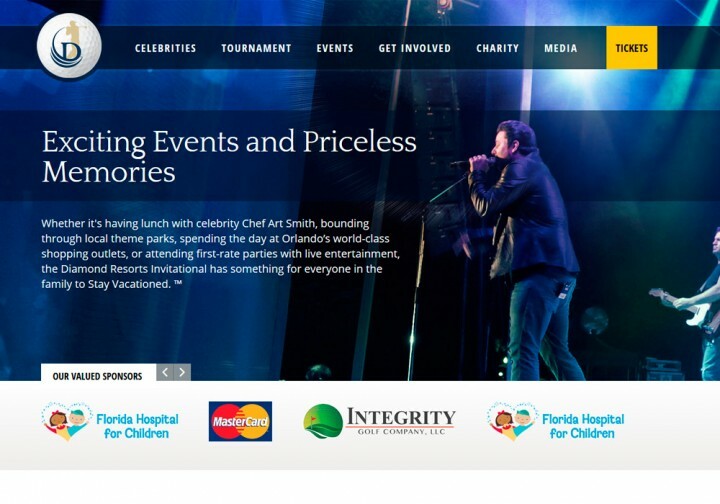 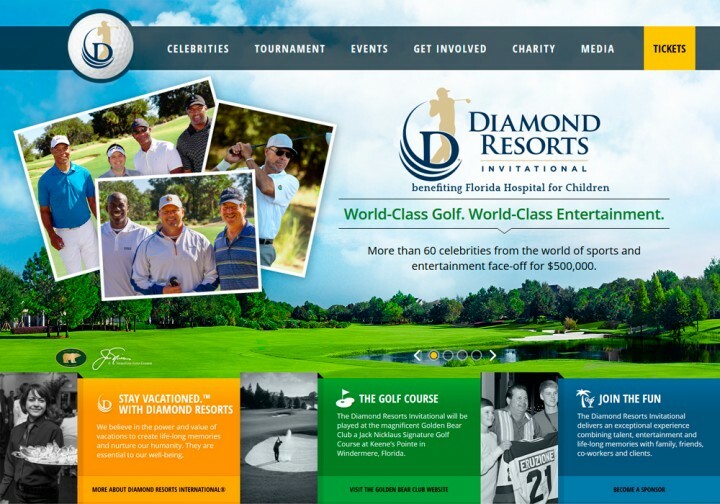 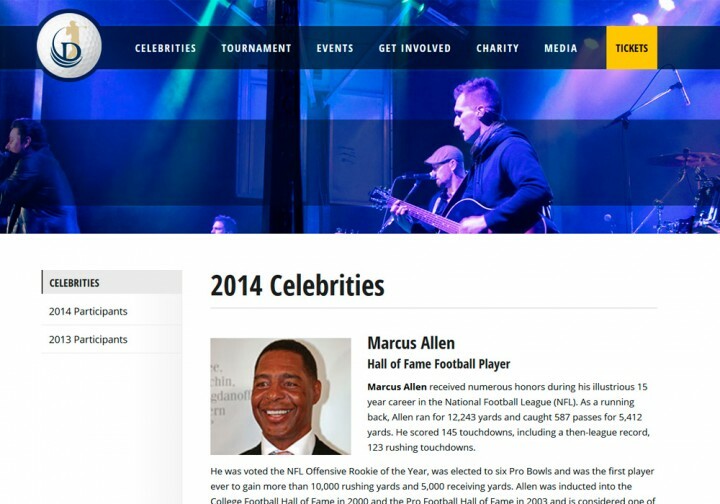 The website, developed in Drupal, features a promotional video and lots of great information about the event – the Brian Gay Invitational presented by Diamond Resorts International® will kick off the event with a celebrity-amateur, 18-hole Stableford golf competition featuring foursomes comprised of three amateurs paired with one celebrity. 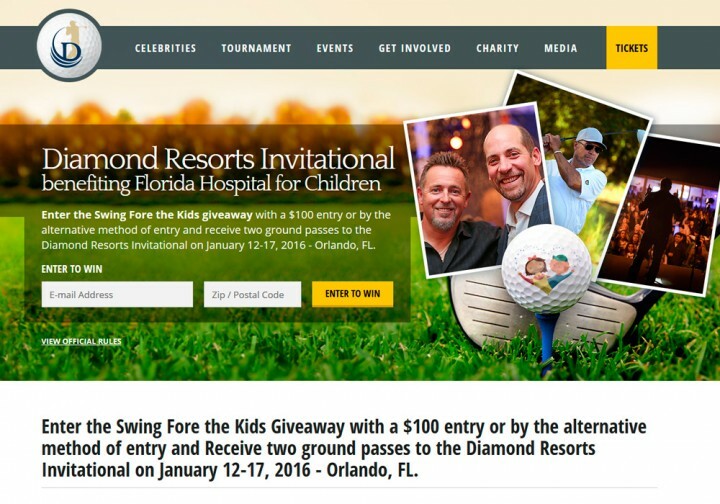 For more about the event, visit the website or read the official press release.